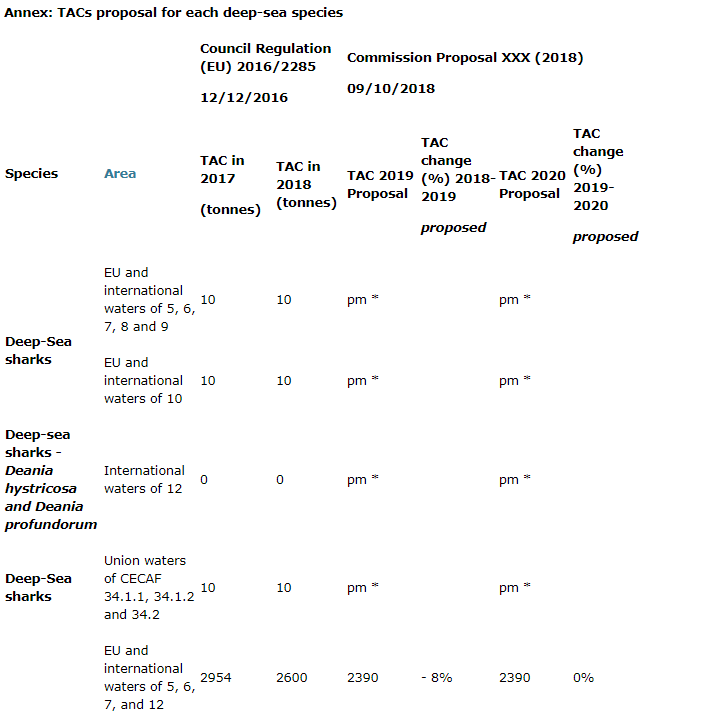 “The European Commission has reduced the total allowable catches (TAC) for several deep-sea species caught in the northeast Atlantic. TACs for black scabbard fish, alfonsinos, red seabream and roundnose grenadier will be reduced 6-78% (see table below). Fishing for orange roughy will remain prohibited. TACs of 10 metric tons for shark are still being analysed.